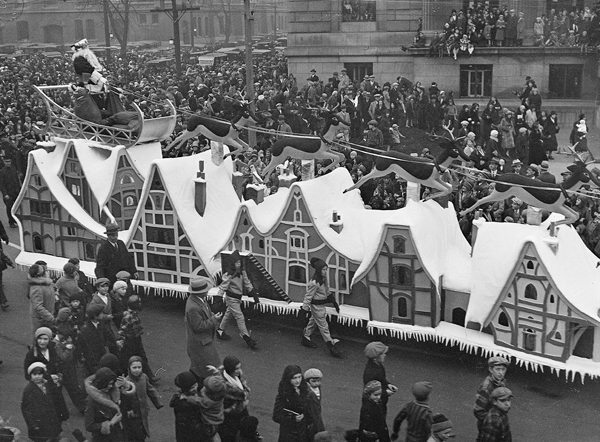 When a boy from the Toronto suburbs grows up to write A Mile of Make-Believe: A History of the Eaton’s Santa Claus Parade (University of Toronto Press), one might expect the book to be filled with rosy-hued recollections of floats, marching bands, upside-down clowns, and Saint Nick himself. But, when that boy – Steve Penfold – also happens to have grown up to be a University of Toronto history professor with a particular interest in consumer culture, his view of the parade is anything but nostalgic. 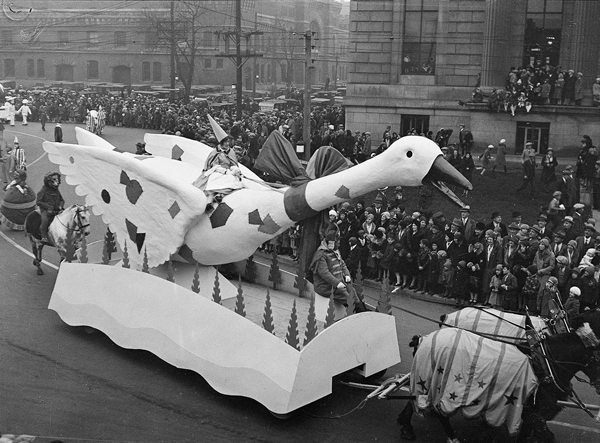 Penfold explores the history and organization of the Eaton’s-sponsored parades in Toronto, Montreal, and Winnipeg – as well as their shorter-lived counterparts in Calgary and Edmonton – between 1905 and 1982, when the store withdrew its sponsorship, citing financial pressures. He also compares the corporate parades with those in smaller centres organized by local service clubs and chambers of commerce. Rather than interviewing people who were involved with the festive marches, Penfold relied on archival research, with his principal source the Eaton’s Collection at the Archives of Ontario, particularly the papers of Jack Brockie, long-time producer of the parade.